By now you’ve probably seen the music video sensation of the year (or at least the week), “This Is America” by Childish Gambino, aka actor Donald Glover. If you haven’t, you can watch it below. The video, which first debuted when Glover performed the song live on Saturday Night Live, instantly took the internet by storm. The video is dark and surreal, featuring Donald Glover dancing in a distorted way–discussed at length in Aido Amoako’s brilliant piece for The Atlantic–while he commits shocking acts of violence in a large warehouse. It’s resonated deeply with viewers for the challenging way it confronts the horrible things we see happening in the news and world around us and the ways we so often choose distraction over change, perhaps making ourselves complicit when the cycle repeats. 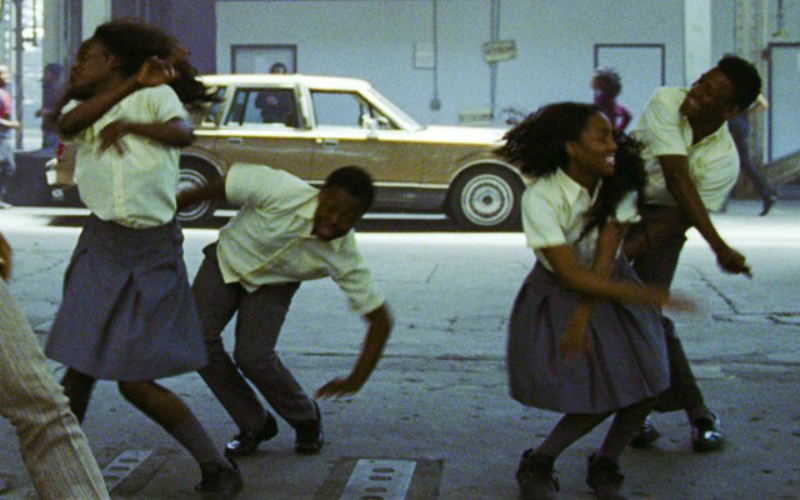 Behind the video is director Hiro Murai, who has previously workshopped the dark, gritty feel seen in “This Is America” on videos for artists including Massive Attack, Earl Sweatshirt, St. Vincent, Flying Lotus, and Queens of the Stone Age. With Glover, he has created four previous Childish Gambino videos. While Murai had never directed for televivions, based on the strength of their collaboration, Murai was brought on to direct several episodes of Glover’s FX television series Atlanta, including the buzzed-about “Teddy Perkins” episode. Now the Los Angeles-based Murai seems well on his way to becoming a household name. He has continued his relationship with FX, working on the Marvel series Legion and the John Singleton-backed crime drama, Snowfall, about life in 1980s L.A. The USC grad is also back with more episodes of Atlanta in the current season. Outside of television, Murai has been tapped for projects from a short film for Nike featuring Chance the Rapper, to the video visuals that accompanied Frank Ocean’s performance on the Grammys. With the huge moment that “This Is America” has become, we’re expecting to hear and see much more from Murai soon.